How many times you have failed to shoot dozens of arrows at distant objects? 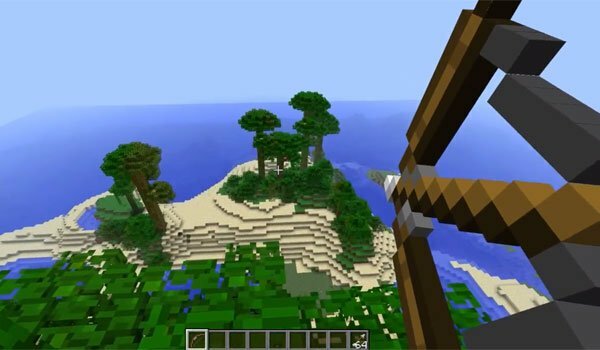 Arrow Cam 1.7.2 and 1.6.4 is a mod that has little more than 15 days old and offers a tracking camera to shoot arrows with our bow. Wit this monitoring of the arrow, can see where it has impacted and allows us to correct this variation on our second shot, resulting in a significant increase in accuracy over long distances in that second shot with the bow. This functionality added by the mod, will take effect in our individual and multiplayer games. How to install Arrow Cam Mod for Minecraft 1.7.2 and 1.6.4? A camera to follow the path of the arrows and improve the marksmanshipin Minecraft!